Siemens has received an order from Statoil and Statkraft, two prominent utilities in Norway, for wind turbines. The turbines are to be a part of the Dudgeon Offshore Wind Farm in the United Kingdom. The two utilities are involved in this offshore wind energy project and want to make use of Siemens’ wind turbines in order to ensure that the project itself has the highest possible energy production capabilities. The wind turbines developed by Siemens are used in wind power projects throughout the world. Siemens will be manufacturing 67 wind turbines for the project. Each turbine has an energy capacity of approximately 6 megawatts. The turbines will be shipped to the United Kingdom when they are ready to operate and are likely to be installed at some point in 2017. Being involved in the Dudgeon Offshore Wind Farm project may help Siemens accomplish its goal of ramping up the production of its innovative wind turbines. The company has been working to showcase the benefits of wind energy for some time and has succeeded in becoming one of the most popular wind turbine manufacturers because of this effort. Construction on the offshore wind energy system will begin in 2017. Once the project is completed, it will be able to generate enough electricity to power approximately 400,000 average homes throughout the United Kingdom. 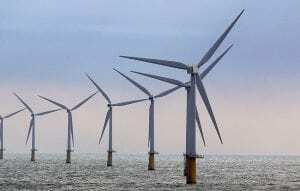 The UK has become particularly interested in wind power, especially when it comes to offshore projects. The government has been investing more into the wind sector in order to reduce its use of fossil-fuels and promote economic growth. The Dudgeon Offshore Wind Farm is not the only ambitious project taking root in the UK. Recently, DONG Energy announced that it had completed the installation of the first wind turbines at the Westermost Rough wind farm. This project is considered the largest wind farm in the country currently and promises to help the UK reach its renewable energy goals.